Katy Wells did her BA in Philosophy at the University of Cambridge, and completed her DPhil in Politics at Nuffield College, Oxford. 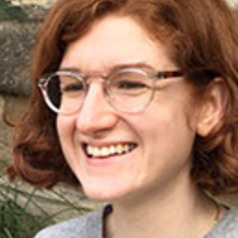 She was a Fellow by Examination at Magdalen College, Oxford from 2016-2018, and joined Warwick's Department of Politics and International Studies in 2018. Her research interests are in contemporary political philosophy. She has three main areas of research interest: on property, housing and power. Her publications include The Right to Housing (Political Studies, 2018), and The Right to Personal Property (Politics, Philosophy & Economics, 2016).